What is meant by health???????? The general condition of a person I all aspect is called as health. It is also the metabolic efficiency or functional level of an organism, often essentially human. In1948, during the creation of the World Health Organization [who], health was defined as “a state of complete physical, mental and social wellbeing and not merely the absence of disease or infirmity”. In the first six decades of evolution of health only a few publications had concentrated particularly on the definition of health. During the Ottawa Charter for Health Promotion in 1986 the WHO said that health is “a resource for everyday life, not the objective of living. Health is a positive concept emphasizing social and personal resources, as well as physical capacities.” Classification systems such as the WHO Family of International Classifications [WHO-FIC], which is composed of the International Classification of Functioning, Disability and Health [ICF] and the International Classification of Diseases [ICD] also define health. Overall health is achieved through a combination of physical, mental, and social well-being, which, together is commonly referred to as the Health Triangle. The process of implementing healthy measures is not at all an expensive act. But it is too complicated as far as individuals are concerned. To make people aware about these safety measures and various programs are not an easy job. For the success of any such programs the cooperation of people is an inevitable factor. Getting support from the public for all such programs are very difficult. If the public have full confidence on these programs they will definitely support all ventures organizing by the authorities. To introduce their programs successfully the authorities must be able to win the confidence from the public. If public support is available other obstacles can be sorted out very easily. In this way very good health programs can be implemented so safely. In these days people are forced to live in a very fast moving life. In today’s life style people have to travel long distances for their work places and return home by evening. In the midst of the fastness people usually forget to think deeply about their food. The often take foods which are easily available and consumable. They never concentrate on the quality of the food they have to take. Thus in the mean time, they may be forced to take even fast foods to quench their hunger. Fast foods are prepared with high fat content and certain taste makers which are poisonous to the human body. Moreover these fast foods have no nutritional value at all. Hence they are totally harmful to human body. The constituents in the fast food and their cooking media are favorable to increase the body weight of the consumer. Hence those who are willing to control their body weight by reducing the fat consumption must avoid fast food in all respects. Homely foods are highly desirable for a healthy body. Another way to decrease surplus fat for maintaining good healthiness is to swallow balanced diet. Balanced diets are foods which contain all essential nutrients with high nutritive value. In this diet all essential elements are found in proper concentration. Hence balanced need not be taken too much. A minimum quantity of balanced diet is suitable to support a healthy body. Hence consuming balanced is the ideal way to control excess fat in taking. Foods having low calorific value with high fiber content is very good far a reduced fatty diet. Oats is the ideal food which is highly recommended in this category. Oats are grains which have very low calorific value comparing to other foods available. The cholesterol content in oats is determined as zero. The fibers in oats work as sponges and absorb fat content present in human body tissues. Hence oats are very good low fatty food for maintaining good health. The maintenance of stiff mass is very significant as far as the health fitness is concerned. 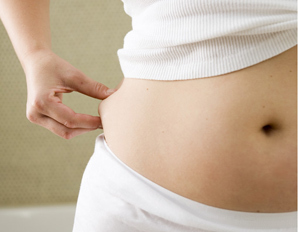 People who have got abnormal weight are susceptible to diseases very easily. The reason for abnormal body weight is life style. In today’s life style men can perform works with out much exertion and for conveyance they can rely on their own vehicles and other alternatives. They have no need to walk to reach their destinations. To make things available just a phone call is sufficient. Then the only thing they have to do is eat and sit simply. This is the reason for abnormal weight in human beings. 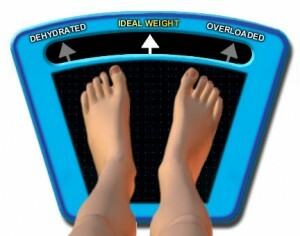 Over weight is the cause of numerous diseases like Diabetics and Hypertension. If men become prey to these diseases once they cannot escape from their hands till the last minute of their life. They can continue living by taking medicines regularly. The doctors also instruct them to control the diet and body weight. Hence if people can control their body weight by controlling their diet in advance they can avoid the intake of medicines and thereby they can save financially also. Men can control their body weight by means of exercises, daily walk and diet control. By controlling weight they can always feel as rejuvenated and free of various health problems. By reducing body weight, the excess fat content in the body will be removed considerably. This will enable people to bring cholesterol under desirable level. Cholesterol is the killer factor for causing heart blocks and thereby cardiac arrest. Hence this is a favorable factor for avoiding various heart problems. If the cholesterol level can be brought under control the blood pressure also can be minimized ideally. In this way by reducing excess body weight, all major diseases can be kept away and this will enable men to lead a very comfortable life. A group of us have come to consider that the most excellent way to relax from the pressure brought about by the daily crush to work and to whatever activities we have that makes our schedules crowded is to run away to the health resort. True enough; the services we get at a health resort are intended to indulge us from head to foot, making each trip a relaxing treat that is truly worth getting enthusiastic to. Sometimes, however, we do not need to go to the health resort just to rest and slacken up. We can do that inside our very homes. One way of getting the health resort atmosphere at home is to just sit with your feet flooded in warm water mixed with health resort salts and essential oils. This is an instant, do-it-yourself foot health resort. When the skin of your feet is all soaked and soft, you can wash away at the calluses and thickened layers of dead skin with delight. Afterwards, you can treat yourself with a nice pedicure. For some people, the idea of relaxing at home is never complete without food. Why not cook yourself a nice dinner for one? Immerse yourself in the therapeutic rhythms brought about by the pounding, dicing, slicing and mincing that comes with the preparation of food. Make the experience a little more sensual by adding fragrant herbs in your food and by using aromatic mood candles instead of the glaring fluorescent lights. This experience will surely leave your stomach filled and your soul refreshed. Another great way of relaxing at home is taking off your watch and just lounging about the den all afternoon. Spend the afternoon eating your favorite snacks while vegging out on a daytime soap opera or a rented movie. For once, keep your mind focused on something that is not even remotely related to work. Perhaps you can try lying in bed with head directed towards the foot of the bed and your feet up on the headboard and flat against the wall. Let your arms rest at your sides away from your body and breathe deeply. Savor the relaxing feeling of blood flowing from your legs to your head. It is a great way to de-stress the body. If you find yourself awake early in the morning and you do not have to go to work, start off your day with a cup of piping hot coffee and drink it while sitting at your porch. Prop up your feet and take your time reading the morning paper. Or you can just sit back and breathe the morning air while watching your neighbors jog or walk their dogs. The body needs to relax every once in a while so it can continue functioning properly, without falling to any illness brought about by stress. Going to the spa for some time off for yourself is always a good idea. However, the idea behind relaxing is spending some time not really doing anything and just letting the body rest. You can always do this at home if you do not feel like going to the health resort.